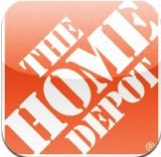 Research and purchase over 100,000 products directly from The Home Depot — from your iPad or Android device. Features include an inventory check at local stores, aisle location, in-store maps, how-to videos, and store locator. Comments on: "The Home Depot"